ProxySoft the new name for Thornton. 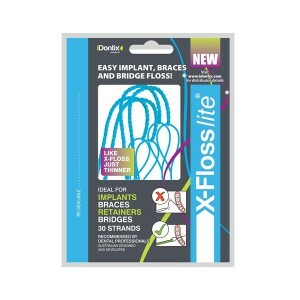 ProxySoft Bridge & Implant Floss is specially designed interdental cleaner used for implants, bridges and for the maintenance of healthy gums. 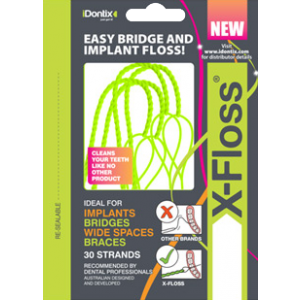 An ultra-stiff threader on each end of the brush allows the user to thread the product without the need for a separate floss threading loop. 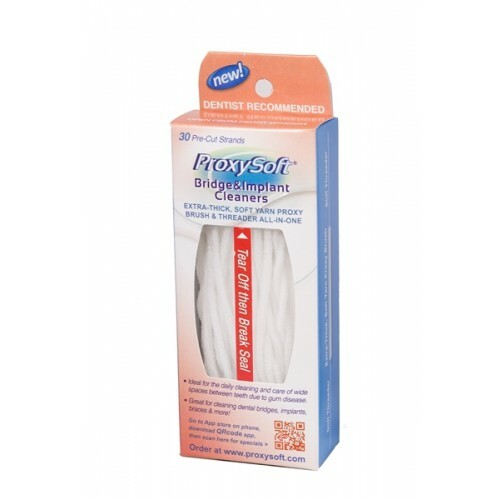 This product is also excellent for the everyday care of periodontal disease and for cleaning around braces. 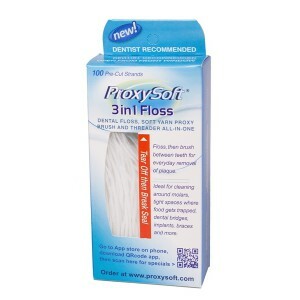 Newly Patented from the inventors and original manufacturers of Superfloss.